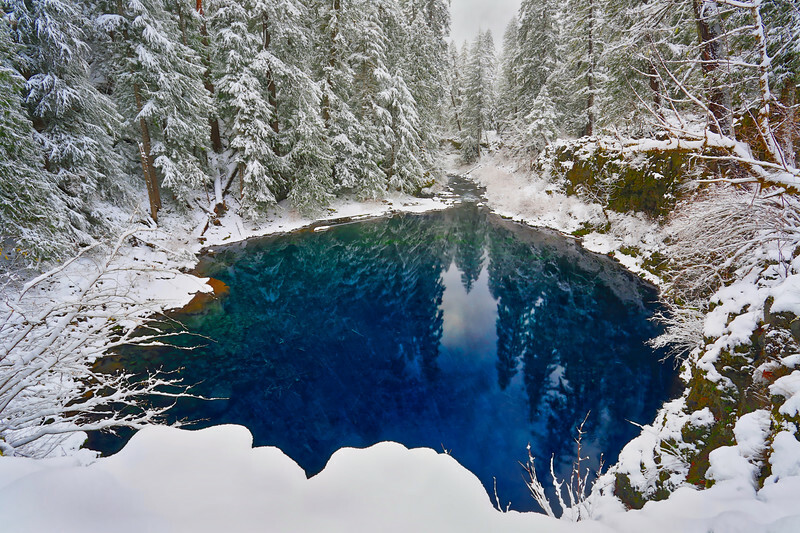 This natural spring fed pool is part of the headwaters of the McKenzie River. It is 30 ft deep and 216 ft wide. Fantastic shot, as a lot of your winter views. Absolutely a superb shot , great colour! Wow, this look like a really deep pool at first glance, then I read your description - WOW! 10 stars. Spectacular view of this pool in the middle of all the snow. Beautiful. Love the blast of blue water and the reflections amidst all the winter snow! Gorgeous blue color in this spring really pops with the white snow all around. Superb contrast between the blue of the pool and the white of the snow. Great shot!